The Green Party is to introduce a bill to tackle the scourge of radon, the naturally occurring radioactive gas, which is responsible for more than 250 deaths in Ireland every year. It's a bill that radon experts argue is much needed and long overdue. Radon is often branded 'the silent killer' on account of the fact that it is colourless, odourless and tasteless. It builds up underneath your house and then seeps into your dwelling. Yet, its real dangers remain invisible to the public somehow. Everyone is aware of the danger of our roads. In 2018, 150 people lost their lives on Irish roads. However, radon killed 250 people and yet it's a relatively unknown risk. Radon is also insidious because it causes lung cancer and early diagnosis is a rarity. By the time many people are told by their doctors, it's often too late to reverse things. What's galling about the political response, something I tracked for ten years as RTE's Environment Correspondent, is that the solutions are known. We have identified the regions in Ireland with a high radon exposure; we have kits that can detect its presence; the specialist equipment to get rid of radon from your home is available and trustworthy. And yet the problem has been allowed to persist. Year after year, staff at the Environmental Protection Agency produce their annual radon reports. Just like the staff at Radiological Protection Institute of Ireland did in the past. Even shocking statistics didn't trigger political action, such as the house in Kerry that was found to have a radon level 185 times greater than what's acceptable. But now we have new legislation from the Green Party, entitled the Healthy Homes Bill. It will require landlords to test their property for radon gas before renting it. Further, it would oblige landlords to take action if radon is detected. It is reasonable, the Greens argue, that a landlord should take precautions to ensure they are not renting a property that could kill any prospective tenant. Doubly so when you consider a radon test-kit costs only €50. Green Party leader Eamon Ryan said he did not anticipate any opposition to the bill in the Oireachtas. That's a welcome observation. But perhaps the Oireachtas should go further. If it's unacceptable to rent a house or commercial property which may contain radon - surely it's also unacceptable to sell a property which could cause cancer? After all, you already to have to pay for a Building Energy Regulation cert before you can sell your home. So why not a radon-free certificate too? At today's launch, Prof Quentin Crowley from Trinity College Dublin asserted that 30% of the national building stock is in a "high radon risk area". How is it possible, from a public safety perspective, to allow that statistic to remain so high for so long? Hopefully this is the beginning of the end of the the scourge of radon. If so, it's worth mentioning one former TD who has been a tireless activist against radon: Co Kerry's Jimmy Deenihan. 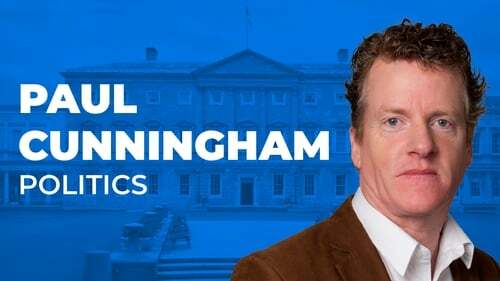 Campaigners hope his warnings will finally be heeded by all parties in the Oireachtas this year.